Tony Henry an opera singer who has style, charm and personality. 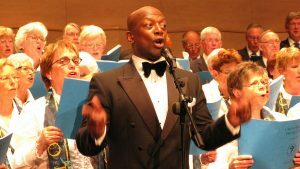 Tony Henry is an opera singer who has style, charm, loads of charisma and personality. Although he is grounded in opera with a fantastic voice, much of his work comprises of ‘Modern Arias’. He has performed with Josh Groban and José Carreras. In 2010 Tony sang at a glittering celebrity charity event in Milan with David and Victoria Beckham, Charlize Theron and the AC Milan football team. The guest of honour was Nelson Mandela's daughter who invitedTony to sing at her father's gala dinners in Madrid and New York. Tony has performed at Buckingham Palace at the invitation of Her Majesty Queen Elizabeth to celebrate the birthday of His Royal Highness Prince Edward. He has sung at The Albert Hall in London as well as having the honour of singing the National Anthem before a capacity crowd of 120,000 before an F.A. Cup Final. On New Years Eve 2009 he performed in front of a live audience of over 1 million people at The Brandenburg Gate in Berlin. 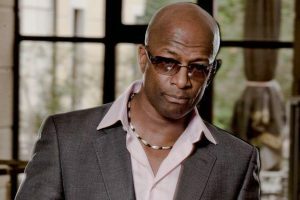 In the past three years, Tony has been performing as part of the ‘Night of the Proms’ tour with a live 90 piece orchestra and a 60 voice choir to rapturous receptions all over Europe in every major city.